A big thank you to all who organised and represented the Club at Sunday's St Patricks Day Parade in Blanchardstown! Our Club Nursery, in association with Sherry Fitzgerald continues as normal this Saturday (March 23rd) for 4-7 year old boys and girls from 9.30am - 11.00am on our All-Weather pitch in Russell Park! New families always welcome! Just arrive down and speak to any of our friendly coaches! 2019 Memberships are due before the end of March and can be paid online via www.stbrigidsgaa.com. There was no winner of our Club Lotto Jackpot last week. This weeks Jackpot rises to €1,400 and will take place in The Greyhound on Thursday evening, March 21st. 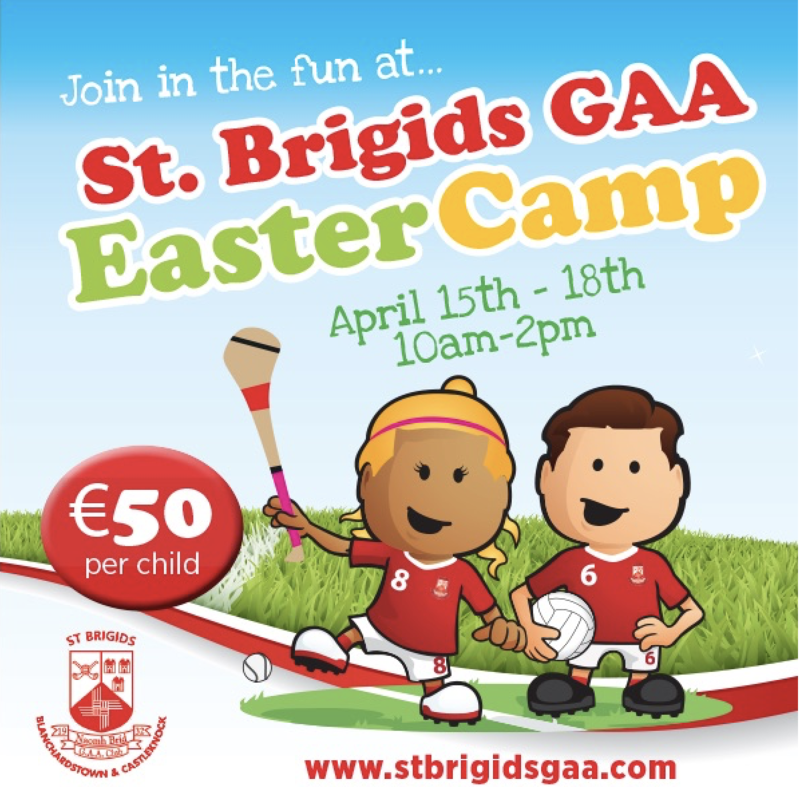 Our 2019 Easter Camp running from April 15th to April 18th (inclusive) is now taking bookings! Places are limited and are filling fast. The Camp caters for all boys and girls from 5 to 13 years of age and runs from 10.00am to 2.00pm each day! Everyone is welcome! Participants are required to bring a packed lunch, a water bottle, sports gear (hurl and helmet if they have one, one will be provided if not) and a rain gear! Please ensure all clothing and gear is marked with your child's name! Book online via our Club Website! We have two brilliant upcoming workshops for allSt Brigid’s Coaches and Mentors! Our Owen Mooney Workshop takes place this Friday (March 22nd) @ 7pm in Russell Park and focuses on ‘Skill development and fun for ages 4 - 8 year olds'. On Friday week (March 29th) 'Hurling Games Workshop for Coaches' (Under 9 - Under 16) with our GPO Barry Mullane @ 7pm also in Russell Park. Deepest sympathies to the Kennedy family on the death of former St Brigids player and hugely respected retired Parish Priest in Laurel Lodge, Fr Eugene. 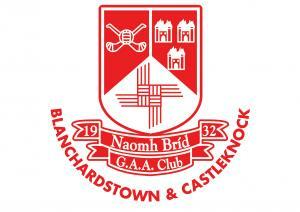 Keep up with all our news on our website www.stbrigidsgaa.com our Club App and our Facebook and Twitter pages. Our Club Shop with O'Neills is also on our website.